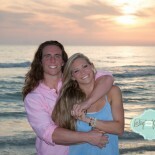 I enjoyed photographing this sweet couple at the beach for a beach portrait session. They had so much fun laughing together and were a blast to photograph. 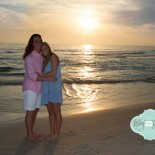 We couldn’t have asked for a more beautiful Sunset on the beach in Panama City Beach Florida.